The late, great Colin McRae made the little known off-road and rally racing sports a household name. 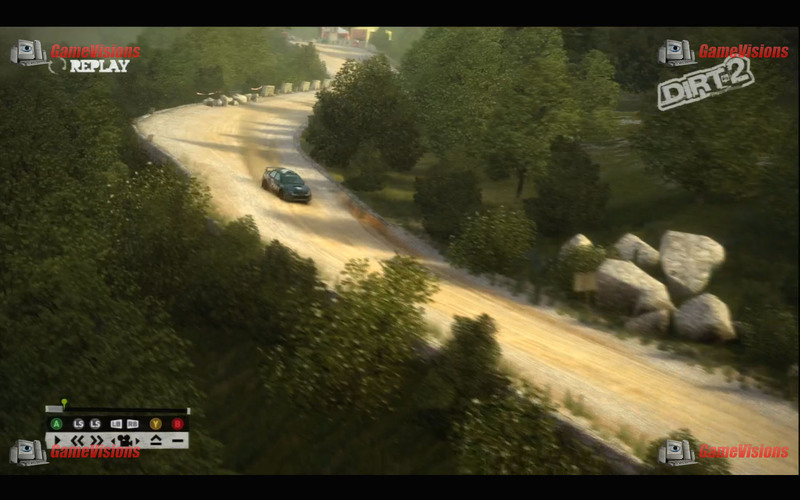 He also brought the sport into the gaming world with the original Colin McRae Rally games. 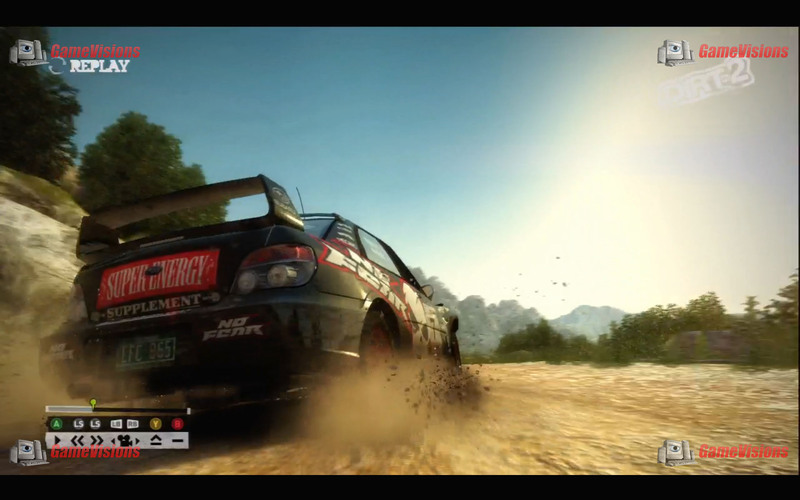 DiRT 2, being the first game in the series following McRae's death in a helicopter crash does not directly feature McRae's input or talent, though his legacy lives on in the game, and your starting car is McRae's Subaru Impreza - repainted, of course. While McRae may not be around for this edition, Ken Block, Dave Mirra, and others have jumped in to fill the void, lending their voice to the game, as well as creative input. One of the most noticeable differences in the new rendition is its X-Games inspired presentation. Following a similar path to Ubisofts Shaun White snowboarding game, there's a West coast counter-culture vibe applied to the game, no doubt attached to the presence of Block, that really works well. Some will be turned off by the punk and nu-metal music and the colorful in-your-face X theme of the main menu screens and stats screens, but the presentation as a whole is blissfully wonderful and wholly immersive. 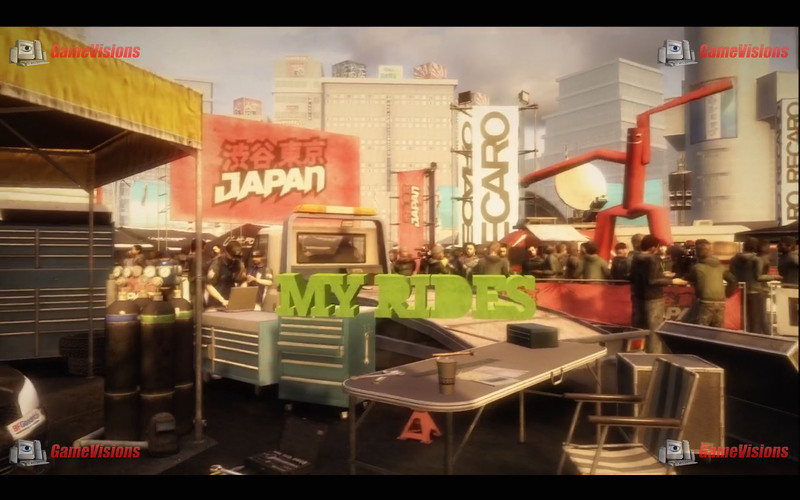 From the race selection and special "stuff" collection in your trailer, to the registration table outside, and the splashy "road trip" visuals during loading, it gets you in the groove for an extreme sports experience. 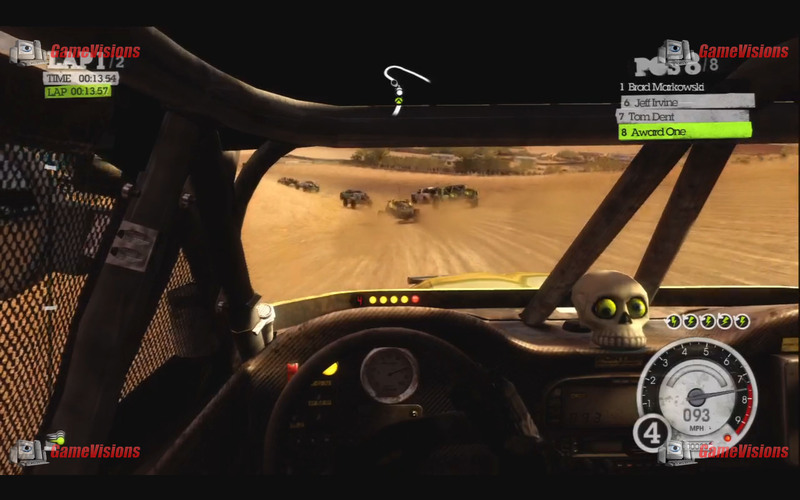 DiRT 2 stands out from the crowded pack of racing games in that it presents an entirely different type of racing. You won't find a shiny red BMW with wrap-around headlights here. Instead you get a mixture of venues allowing different vehicles, from the standard squatty rally cars, to beefed up pickup trucks, and high suspension buggies. The tracks also receive the variety treatment. 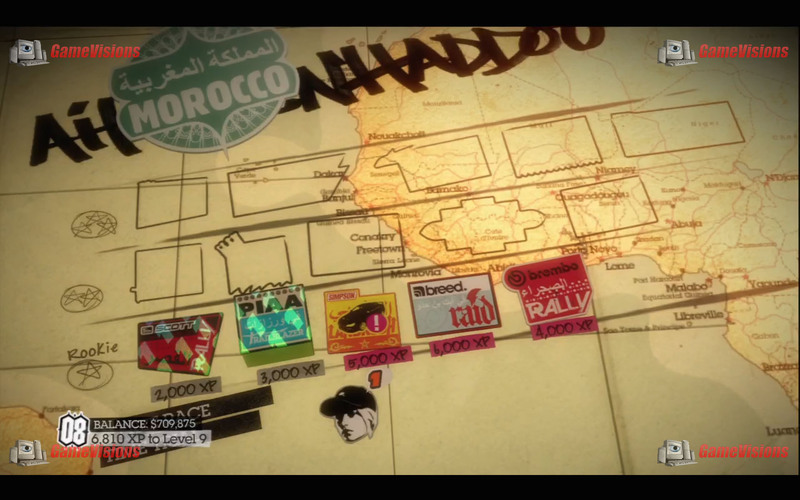 Multiple countries available provide different track types, from Baja's rocky terrain, Morocco's dustbowl desert tracks, and Croatia's windy mountain path, to London and Japan's urban terrain with more 120 degree turns than I'd care to think about, there's quite a bit of variety available here. The event types also provide quite a bit of variety. 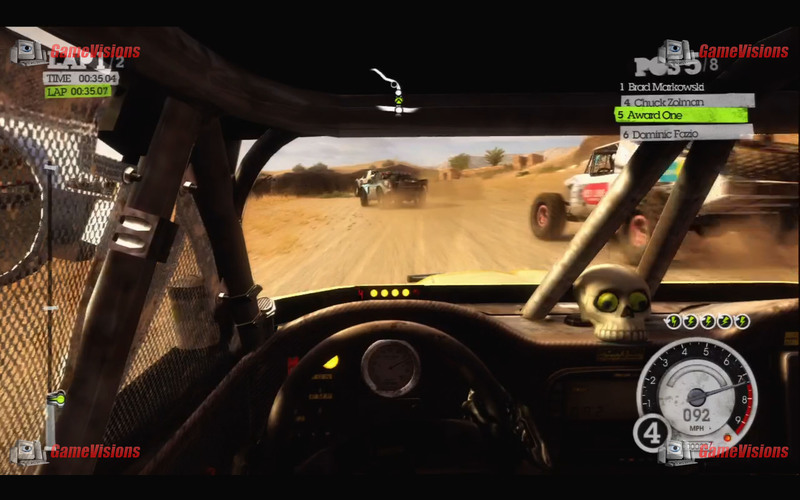 The standard staggered-start rally is still available, but races such as Gate Crasher which involves driving through foam gates, rally cross that mixes on and off road portions, split track races, and one on one racing keeps the pace from getting old too fast. 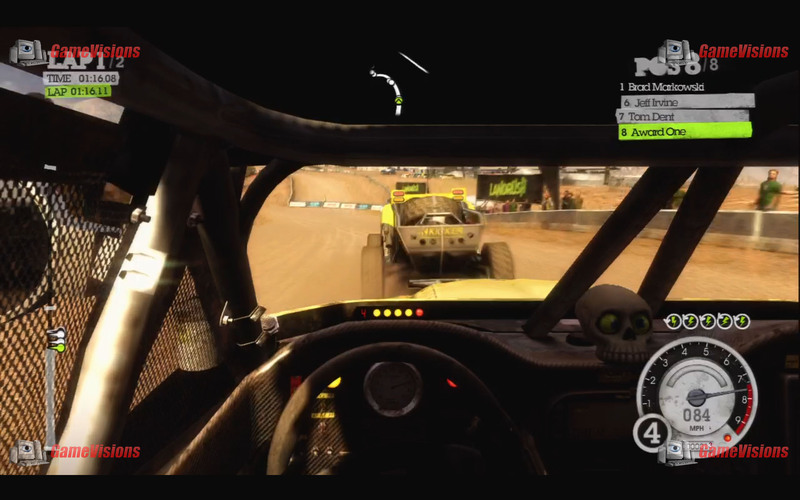 The graphics in DiRT 2 are quite exceptional. Using Codemasters' Ego engine formerly seen in Grid, but polished and buffed out a bit, stunning is the only word to describe it. The cars, the environment, the dust and dirt, the water, everything looks about as real as you're going to see it this generation. The close, bumpy cockpit views are exceptional and, especially if using a racing wheel, place you right in the center of the action. Instant replays are top notch as well. In all Ego engine games, additional post-processing is done on the graphics for the instant replay. 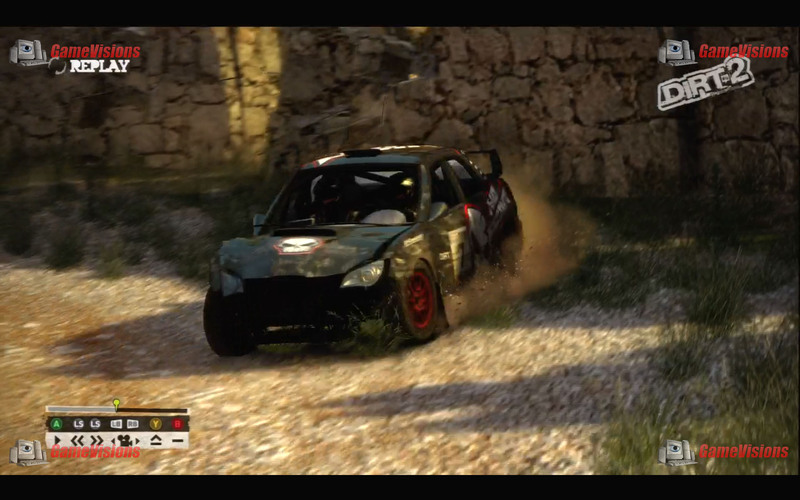 This extra touch of photo-realistic graphics combined with the superb camera angles, and even destructible terrain as evidenced when crashing into an old stone wall and watching parts of the wall crumble down make for an almost "televised event" polish. Hard-core simulator fans will be disappointed in the lack of a huge variety of vehicle tweaks as seen in games like Forza, Gran Turismo, and Shift. There's a minimalistic set of performance settings you can toggle, but not the fine detailed spring tension level settings available in other titles. Still, though the performance mimics a simulator. Cars will easily spin out of control, even on easy difficulty, taking corners involves slowing to appropriately slow speeds, taking jumps at the wrong angle can lead to a capsized vehicle, and bumpy terrain indeed feels bumpy. Inherited from Grid is one of the greatest features ever to grace racing games: flashbacks. If you're having a good race and bumble a turn badly, you can rewind time and flash back to just before you ran head-long off the side of a Croatian mountain. Just don't wait too long to replay, unfortunately it seems to reset the farthest time setting at various points on the map, often leading to being able to flash back to the point just fractions of a second before you ran head-long off the side of a Croation mountain, leaving you to helplessly watch your own demise again and again.